It can be difficult to be a Macross fan. Well, it’s certainly difficult if you live anywhere outside of Japan. Getting anything related to this franchise localized to the west has proven increasingly difficult over the years. One of the largest tragedies about this is that Macross got many of us anime fans into the genre in the first place. Like thousands of others, Robotech was my first experience with Macross, and it totally blew my mind. It was unabashedly adult, even though it was animated. And the story was continuous instead of being contained within a 30 minute episode, like Saturday morning and weekday afternoon cartoons were. There were some quality home video releases of Robotech, Macross II and then Macross Plus. But I have not been able to find anything since then. 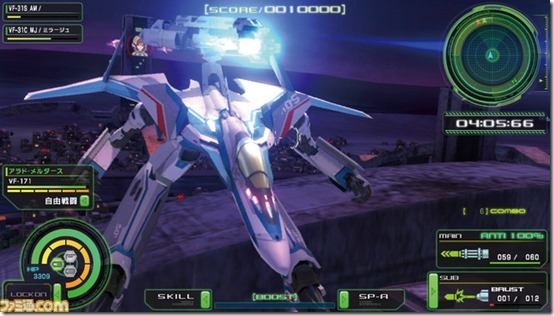 I’m a huge fan of those series, especially Macross Plus, so I was very keen to take on this new game set in the current series (that has not made its way out of Japan, of course). The Briefing gives you some story while also providing an idea of what to expect. 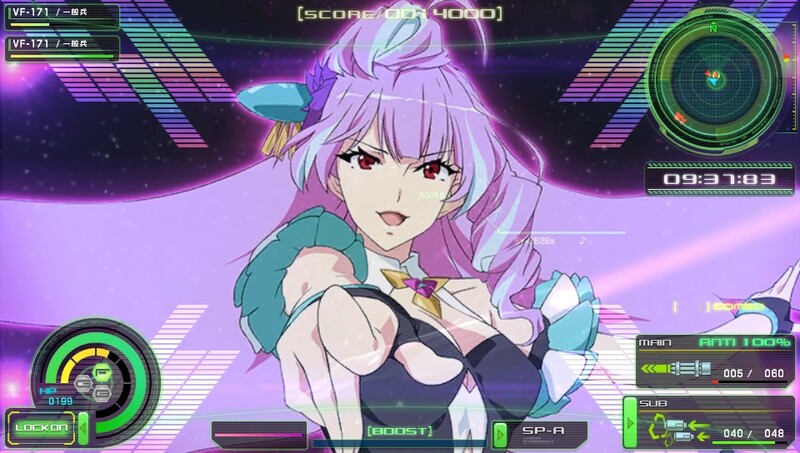 The story of Macross Delta takes place 8 years after the events of Macross Frontier. Unfortunately I know next to nothing about what those specific events were, as the last Macross story I’ve seen is Macross Plus. But even though I’m not caught up on current events, many of the series tropes are still very much in existence. The alien threat of the zentraedi years is no longer an issue; they have largely entered into a peaceful co-existence with the humans. Unfortunately humanity has not done so well with the huge technology boosts wrought from interstellar war, and they have continued to fight among themselves. Music and pop stars still make a huge impact on this world, only in this series the singers are a group and also Valkyrie pilots. 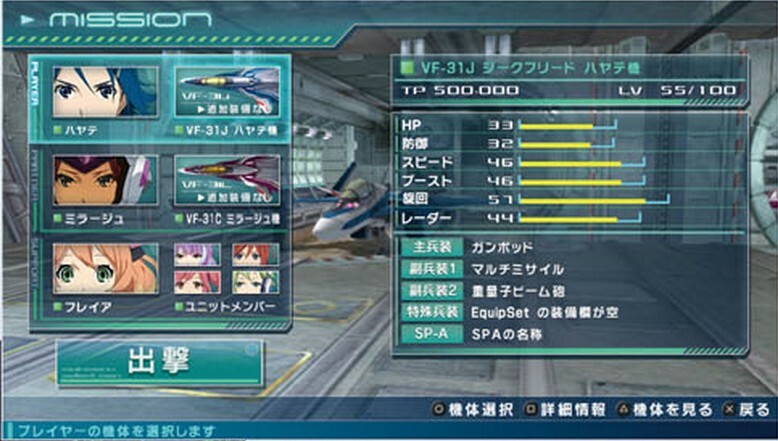 Valkyrie are the transforming robots that are common to the series, which normally have three forms; jet, mecha robot (battroid), and half way between (gerwalk). Transforming your craft is a very huge part of the gameplay. You will need to transform your craft to fit a variety of situations. And unlike many older games, you can actually change while in the middle of a round. Your controls stay quite similar, but the playstyle will vary drastically. This is a situational thing and it takes a while to recognize when you will want to change modes. In the beginning stages, you can get away with not being quite as efficient with your transformations. But once you get to the more difficult stages, it is a quick way to death or a time expiration if you do not learn when to shift forms. 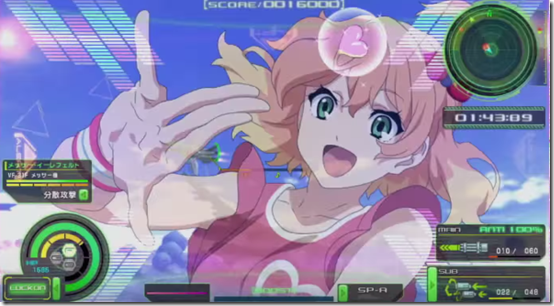 Even though this is a game based on a hugely popular anime, the developers take this game very seriously and there is quite a bit of difficulty to be found. At the Mission screen you can select your controlled character and your supports. The waifus in this game definitely help inspire the soldiers, so make sure you bring tissues. Fairly quickly, you will see the entrance of Tactical Sound Unit Walküre. They are that pop idol group that also pilots Valkyries, and they fight a bit but mostly inspire the rest of the troops. When they join a battle, you can see them on your screen and hear their music. This inspires the pilot you are currently using and gives you much quicker access to your special moves. They make a huge impact on the battles, because I was using the special moves as often as I could. Given that your weapons take time to reload, I would commonly just blow my load of ammo and then do a special move (if available) while I waited for them to recharge. The girls aren’t just eye candy; they are also ear candy. But the major attraction of the girls is not just their boost or the visual appeal. The regular combat music is very good, but the songs that the girls sing are far superior. This game has some of the best music in any video game I’ve played, let alone on handheld. Given that the series has always been so music aware, you would expect the game to really highlight that music, but even with that expectation it still exceeded what it could have been. The sound effects also come directly out of Macross, so you can plan on hearing those series staples (especially the multi-missile launches). Another way in which the game exceeded all my expectations was with the graphics. Quite simply this may be one of the most technically impressive PS Vita games that I’ve ever played. The combat arenas aren’t massive, but they are very well rendered. And all the designs, both rendered and CG, just jump off the screen. The game is so beautiful, it’s hard to believe that the PS Vita can run it. The really hard part of reviewing this game comes with deciding how much I can recommend it. The controls are complicated, but you can get used to them over time. 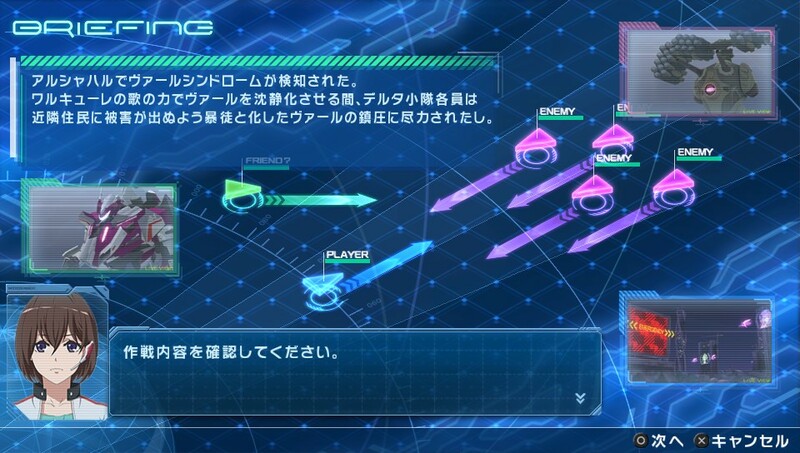 Unfortunately they are more difficult because almost every line of text in this game is in Japanese. 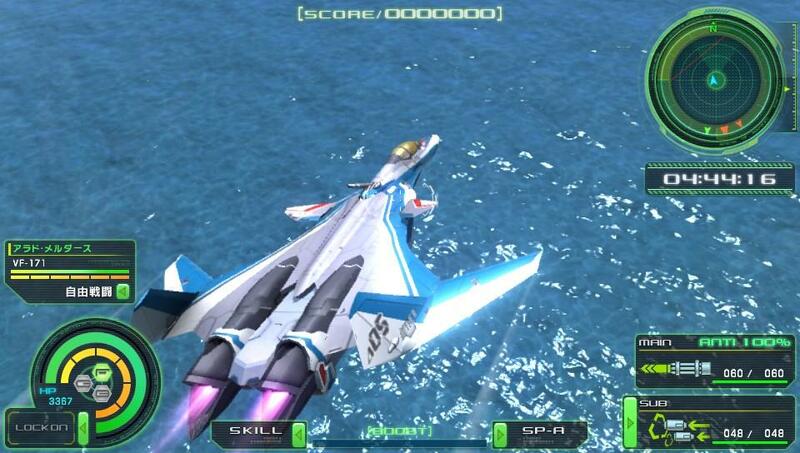 It’s very apparent that there was little thought to making this game available to other territories, and given the history of Macross I don’t blame the developers for that. I cannot tell you much about the story, and you will not be able to glean very much out of it either unless you can understand the language. I do know that it takes place during the first half of the anime, but that’s it. It is fascinating to watch in it’s own way though, and it makes me want to buy the series if it ever gets a US domestic release. You can purchase this game from Play-Asia for $58, which is rather expensive. You can expect those prices with import fees, so I don’t find it unreasonable. 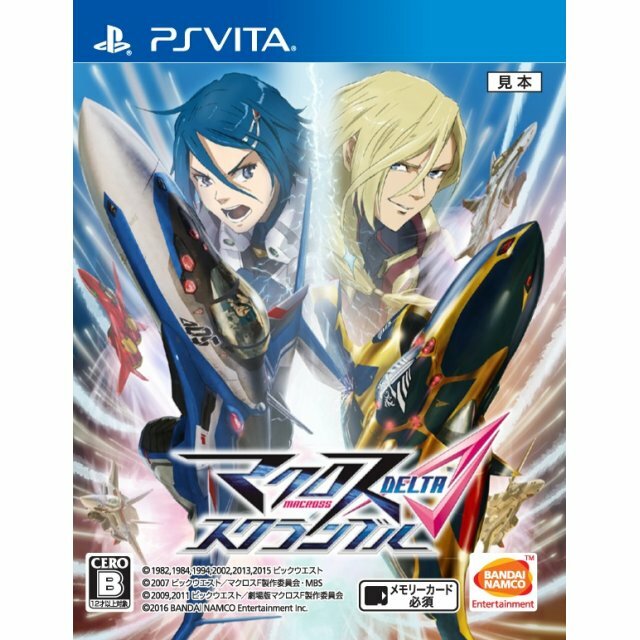 But I would say that this is likely only a must buy if you are really into the Macross series or if you understand Japanese. But if you fit that qualification, this is a really great game that really pushes the PS Vita to the limit. Review Copy Provided By Play-Asia if you like a copy of this title for yourself please use our affiliate link and discount code below.